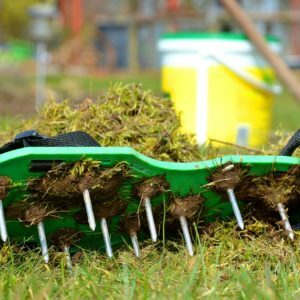 What Are the Benefits of Aeration and Seeding? With the leaves changing colors, the temperature dropping, and the days getting shorter, it’s time to think about spring…for your lawn! If you want a healthy yard with less effort when the weather heats up again, it’s important to take care of your lawn now. 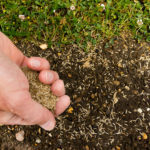 The most beneficial things you can do for your lawn are aeration and seeding. Aeration is allowing air, water, and nutrients to circulate through your lawn by creating small holes in the soil. And seeding, as it sounds, involves spreading grass seed. The small holes in the soil create the ideal for the new grass seeds to root. Aeration alleviates soil compaction. This compaction happens in spots that are frequent paths for people or animals, or places that have been long-time homes to things like picnic tables and sports nets. When the soil isn’t compacted, the grass roots grow deeper, creating the ideal environment for a healthier lawn. Even if your lawn looks healthy now, you might be looking at a patchy mess when the weather heats up again; cold, snowy winters aren’t good for your lawn. 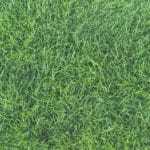 Aeration and seeding ensure new grass is ready to fill in any patchy spots. Do you notice a puddle after it rains? Does one spot in your yard form a little ice skating rink when it’s extra cold? If soil is not properly aerated, the rainwater will not be able to adequately seep into the soil and will form puddles across your lawn. 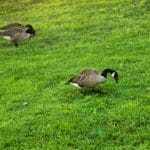 By aerating the soil, the rain and moisture will seep into the ground and not stay on top. Come springtime, you won’t be the neighbor spending weekends trying to amend the winter’s damage. 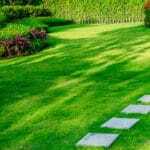 Because you prepared ahead of time, your lawn will need less work to turn a healthy green. Do You Need Help with Aeration and Seeding? We’re here for you! At Green Lawn Fertilizing, we are experts at creating luscious, green lawns, and we provide year-round care—including aerating and seeding. All you’ll have to do is wait for your grass to grow. Give us a call today at 888-581-5296 for a free quote.